Do Your Workouts Include MENTAL Weight Training? Sometimes you find life lessons in surprising places. 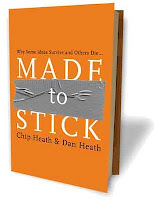 I was reading Made to Stick: Why Some Ideas Survive and Others Die by brothers Chip and Dan Heath to stimulate my creative thinking for marketing strategies. 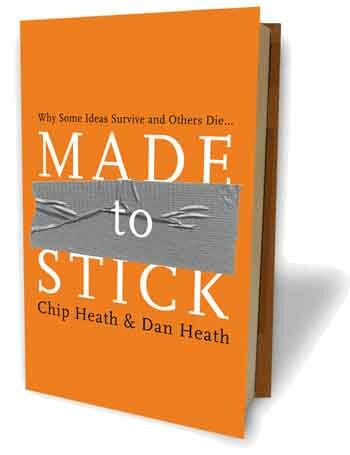 It’s a fascinating, clearly-written book that outlines six principles for helping people remember and act on the ideas you’re presenting. And these ideas aren’t just for marketers. 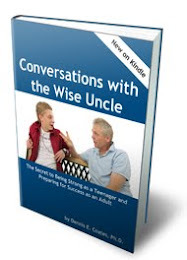 They apply to anyone who needs to communicate effectively, including leaders, parents, and teachers. One of the principles is the power of stories to convey an idea. 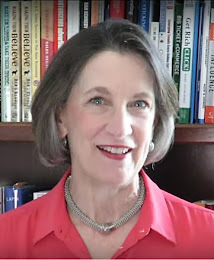 Because of my ongoing passion in my work to help people learn new skills and change behavior patterns, the following story was especially memorable. The algebra teacher shared how he responds when his students pose this question. It’s brilliant. “I then go on to remind them that people don’t lift weights so that they will be prepared, should one day someone knock them over on the street and lay a barbell across their chests. You lift weights so you can knock over a defensive lineman, or carry your groceries or lift your grandchildren without being sore the next day. You do math exercises so that you can improve your ability to think logically, so that you can be a better lawyer, doctor, architect, prison warden or parent. Some of the things we’re asked to learn may not seem to have immediate relevance in our lives, yet the mental work required to do them prepares us for future challenges. That’s because this “mental weight training” enables the brain to build the neural pathways needed to complete important tasks with less effort. This process is exactly what my company has done with our online ProStar Coach program. We call it your “virtual gym for becoming stronger as a person” because it provides mental workouts in the critical areas of people skills and personal strengths. We recognized that a cycle of taking action and then reflecting on lessons learned from the action is critical to transforming a behavior pattern or ingraining a new skill. What are you doing each day to stretch and strengthen your brain so you’re prepared for unexpected situations when they arise? There could be one habit or behavior pattern that’s been holding you back from being as effective as you could be – maybe a lack of self-confidence, patience, composure or self-discipline. If you could strengthen this one area, it would make a huge difference in the results you achieve. You can do this on your own, of course. 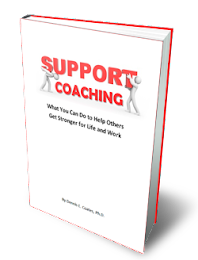 But you could get even greater results with the power of a virtual coach, combined with coaching from people who care about your success. You can get both types of coaching in ProStar Coach. 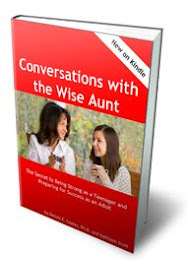 Are you ready to do the mental weight training to get to the next level in your own development? "Just as we develop our physical muscles through overcoming opposition - such as lifting weights - we develop our character muscles by overcoming challenges and adversity." There will always be a good percentage of people who are willing to do the hard work of changing eating habits and working out to become more healthy. Not everyone, you know. But a good percentage. I think the same thing applies to people who want to work on who they are - how they relate to people and how strong they are as individuals to deal with tough challenges. I know not everyone cares about being successful. But I think a good percentage of people do. ProStar Coach is for those people. Yes, Joe, I'm a big fan of telling the truth. And that's exactly what this teacher had the courage to do. It's probably my favorite story in the book - definitely the most memorable for me because of the lesson. This story might just find its way into my workshop today. Thanks! David, Glad you found this story valuable!